The Silk Road, or Silk Route is a series of trade and cultural transmission routes that were central to interaction between the East and the West back in the day. As trade between India and the Greco-Roman world increased spices became the main import from India to the Western world. But many of us already know this. So why am I repeating it? 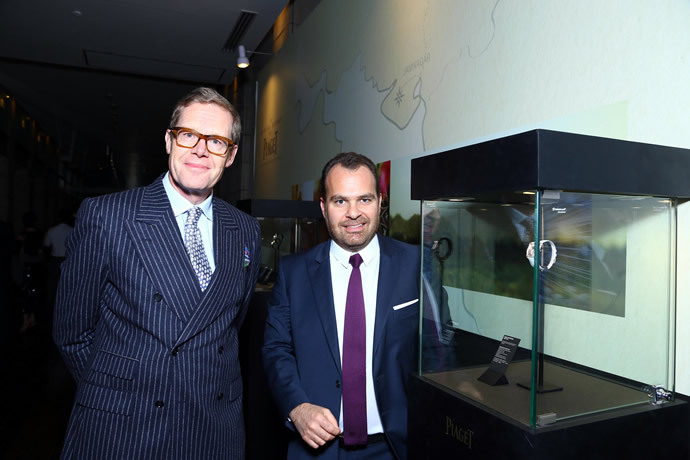 Well, imagine my surprise when I walked into Piaget’s latest unveiling and saw the same silk route and spice route play inspiration to “A Mythical Journey by Piaget”. Ah the poetry, when a Swiss house of haute horlogerie and joaillerie lures the same charm of the east à la the olden days. 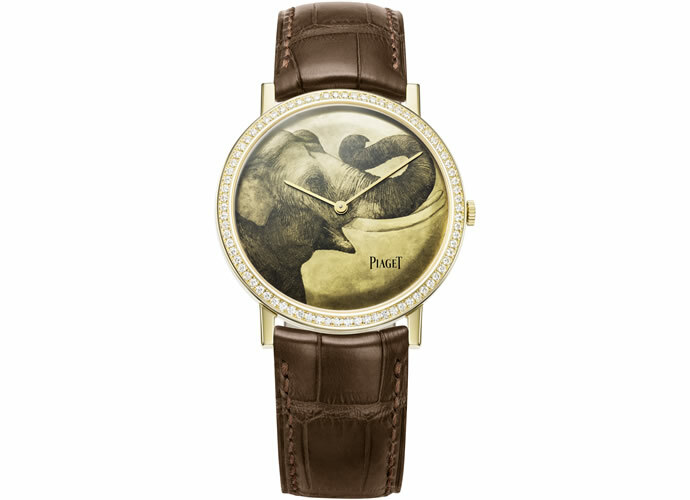 Trumping its own métiers d’art capabilities, “A Mythical Journey by Piaget,” consists of thirty-two watch models, which exhibit exceptional micromosaic, embroidery, enamel and bullino engraving. Take for instance the Altiplano, where the pine tree branch is made using raised satin stitches. Its delicate pine needles alone, I was told, were meticulously embroidered over hours, with straight stitching. The overall motif took two whole meters of precious thread for embroidering. And speaking of the latter, this use of gold thread embroidery is a world first. As is that of micromosaic, or the art of the infinitely small. Using stunning, colorful tesserae and unlimited creativity comes the collection’s Protocole XXL Micro-Mosaic. 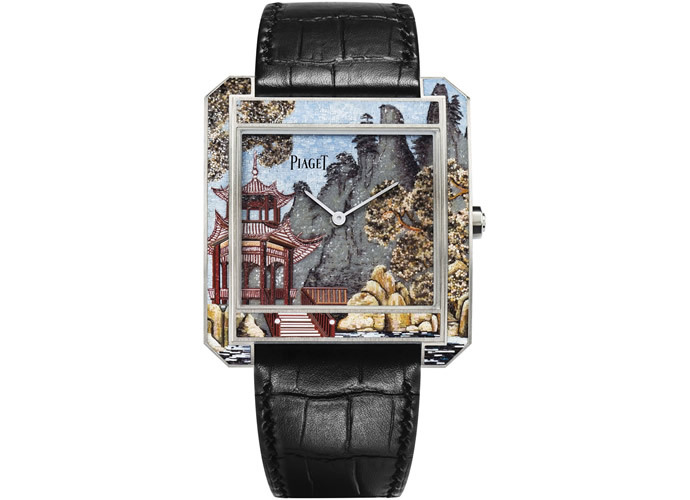 This ravishing rendition of the iconic men’s watch bears the Asian landscape, with clouds that appear to be literally floating. Like all watches from the collection, its elegant artistry is complimented by a stylish logo inspired by old maps and compass. 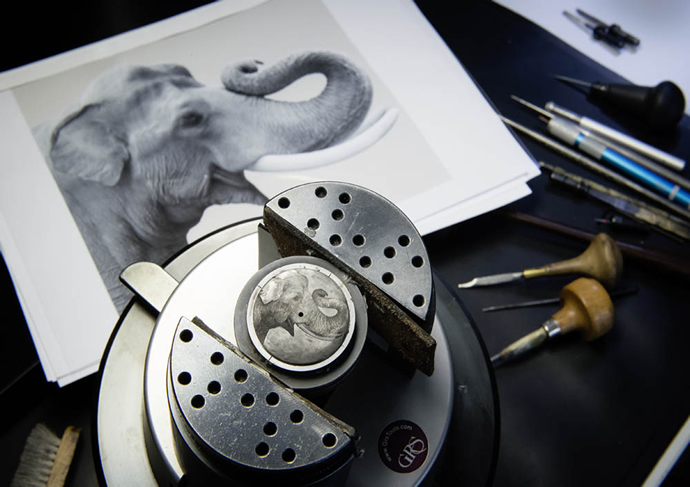 An elephant adorns a Piaget Polo Tourbillon Relatif, Piaget Emperador, and Piaget Altiplano using the “Bullino” engraving technique developed by Italian engravers. 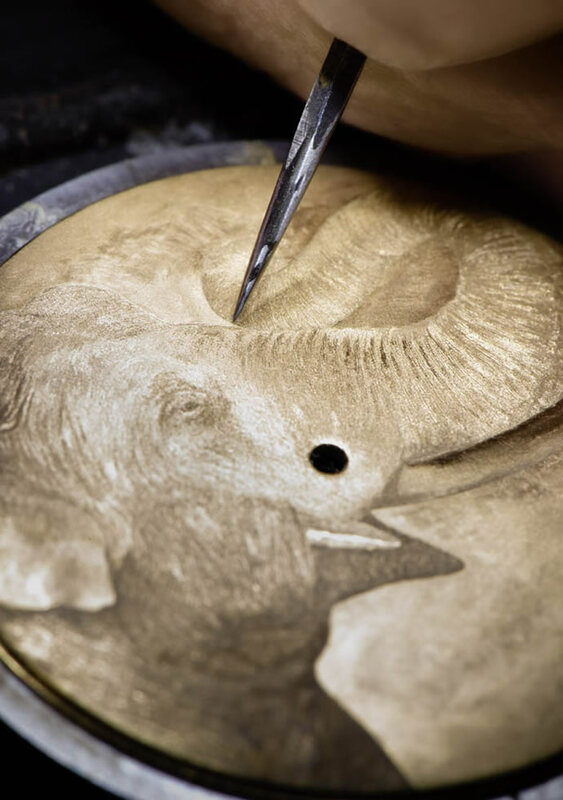 Its life-sized drawing is first reproduced using tracing paper and a pencil on the gold dial, after which, the artisan begins engraving the contours of the elephant using a fine metal needle. Possessing fine lines that could only be made under a microscope, the shiny parts of the animal are then done using the bullino technique. Extreme care is devoted to each detail, whether the grain of the skin, the position of the eye or the appearance of the trump and the background is crafted using a tip made of diamond. As astonishing as it is to see the epic voyage between Asia and India, transcended to timepieces with such expertise and passion, what is most mystifying is the Piaget Altiplano Double Jeu, a scintillating timepiece, which has an 18-carat pink gold case set with diamonds. 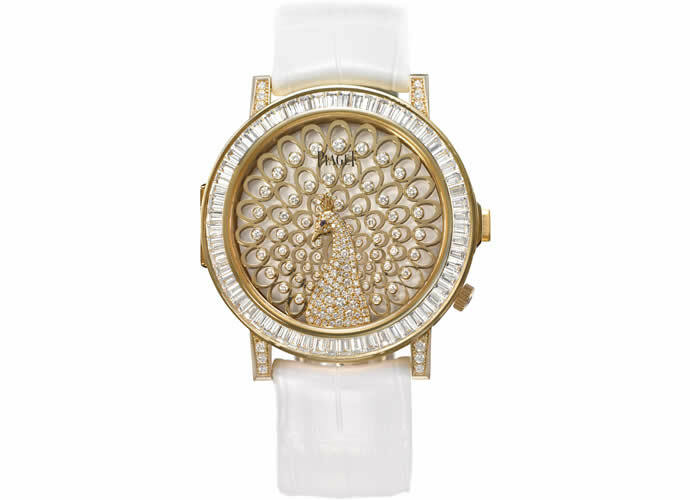 It isn’t just the play of precious stone on metal that makes this watch truly special. 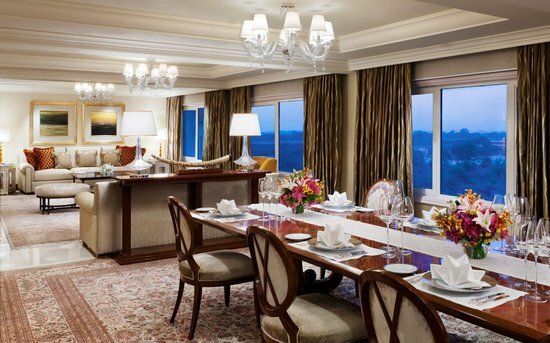 It is the magnificent design inspired by the long-necked, crown jewel from Indian kings’ gardens. Lord Krishna honored it by adorning his headdress with its feathers. 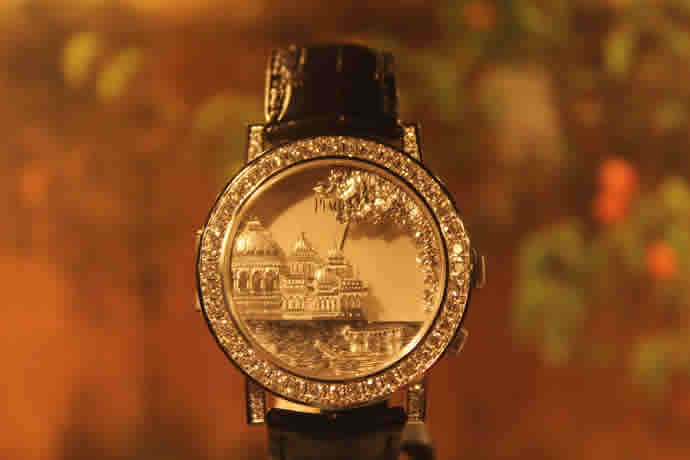 Now the national animal of India, the peacock finds its place in the famously slender Altiplano’s 43mm case diameter. Held together with a pink gold set clasp on a white alligator bracelet, the brilliant diamond set peacock in pink gold is supported by an ultra-thin hand-wound mechanical movement. 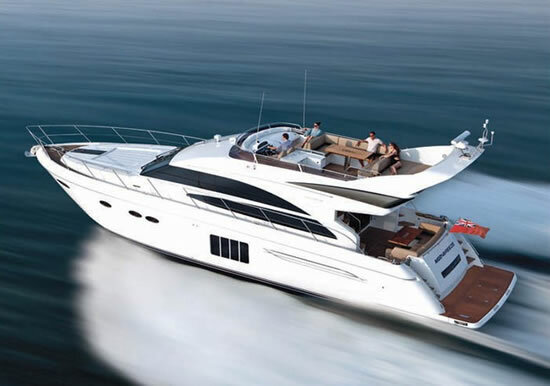 Priced at a startling $2, 77,850 (approx.) the timepiece is a magical union of art and advancement. For the easily startled and lesser indulgent, however, we’d recommend the $34,000 Piaget Altiplano Precious Thread Embroidery. 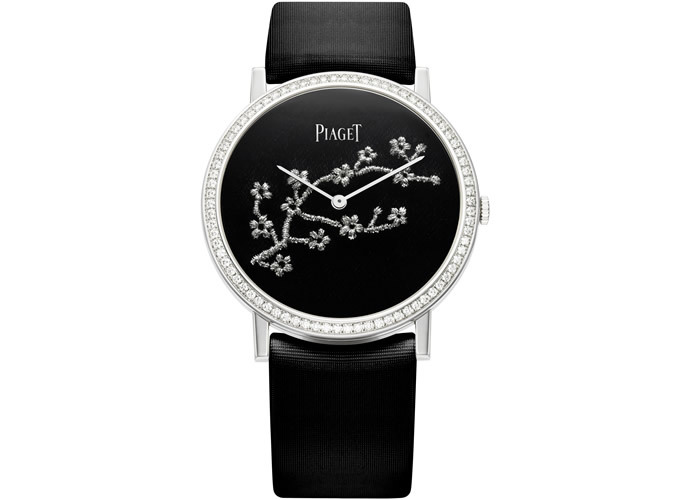 Precious thread embroidery by Piaget is not only a world first, as we just learnt but may also be the future of watch fashion. And while we already spoke about the pine tree motif, we’re watching out for the flowering-cherry blossoms. Tender, fragile flowering cherry symbolizes spring. 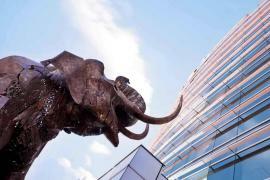 But the rare species is found in certain parts of China and Asia is even a metaphor for youth and renewal. Said to be a favorite subject for artists and poets, its rarity can now be captured on a black silk dial surrounded by 78-brilliant cut diamonds. 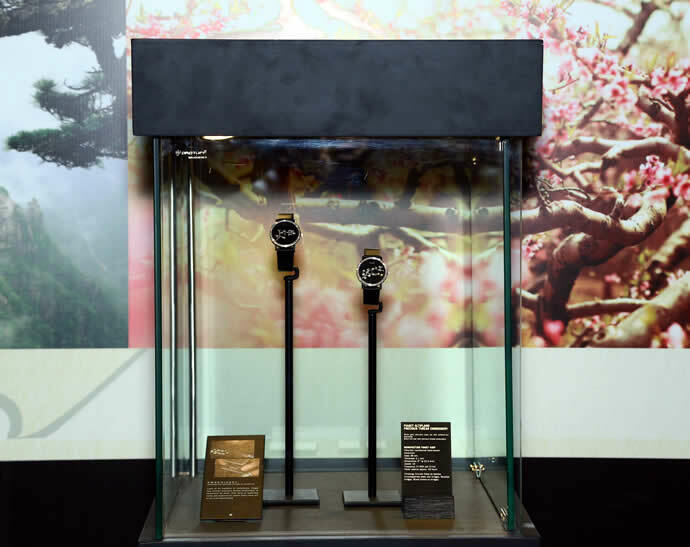 Other limited edition timepieces also don’t miss to sweep you in, showcasing all things from Ferghana horses, to Cranes, from the exciting roads of Chang’an and the Indian palaces, sometimes even in unusual combinations of gold leaf and champlevé enamel. 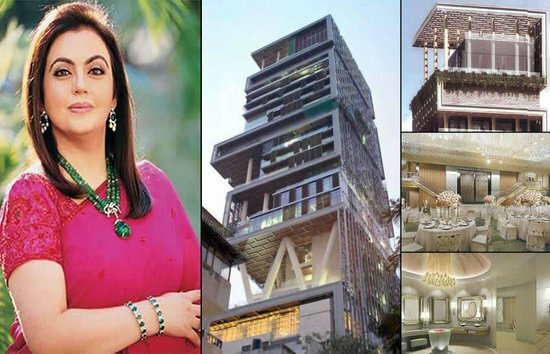 If that weren’t enough, the Mythical Journey is rounded off by sixteen pieces of jewelry created from exceptional stones including sapphires and emeralds. 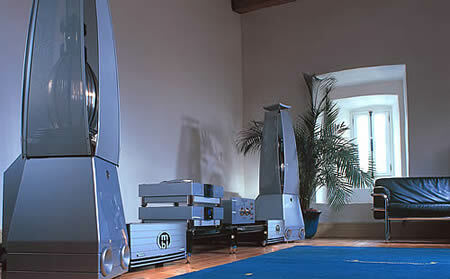 And if the collection is enchanting, the film is nothing short of mythical itself!